From the most extensive tequila database on earth. What members are reacting to right now. There are 4,253 tequilas in our database. Here are the most recent dozen. There are 2,192 brands in our database. Here are the most recent few. Here’s what’s happening in the tequila world. Celebrities and comedians aren't laughing about Jaja, a tequila brand that lifted photos of celebrities to promote its brand without their consent. Some 1,700 miles from those Jalisco farms, in the heart of whiskey country, several Nashville entrepreneurs are betting big on the growing demand for craft tequila in the U.S. as the liquor sheds its spring break reputation. Tequila net sales were up 36% in the first half of the fiscal year. Alquimia Reserva De Oro 14 yr/100 Proof Organic Extra Añejo - Explosive Deliciousness! 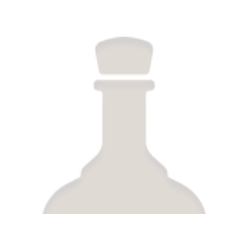 Alquimia Reserva de Oro is a clean, bold, flavorful and intoxicating Extra Añejo at 100 proof. The wood presence is kept to a minimum and gives you a sweet, multi-level, powerful and bold experience.